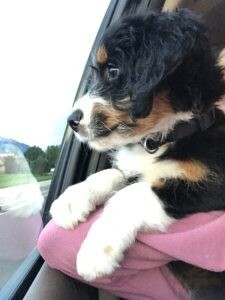 You are welcome to pick up your puppy here at Alpine Bernedoodles. 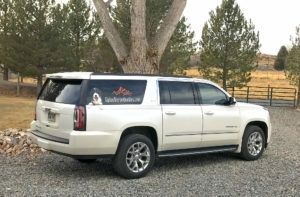 South Western Colorado is a wonderful place to visit, stay a day or two and enjoy our beautiful surroundings and visit with your puppy and then enjoy a day of sightseeing, we are 15 minutes from the airport so we are happy to keep your puppy until you’re ready to leave. Montrose has a small regional airport with daily flights from several major cities during the winter months as well as multiple daily connections through Denver during the summer. We have pet friendly hotels close to the airport if you would like to keep your puppy overnight before flying out. 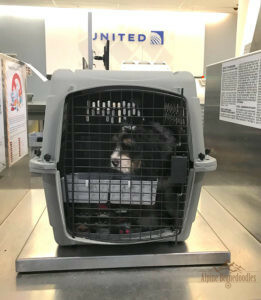 Check with your individual airline regarding requirements for pet carry-on. You will need a soft carrier and most airlines charge a pet fee around $125.00. Arrangements must be made in advance for pick up here at the ranch. 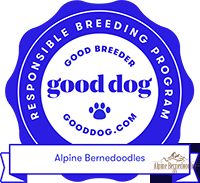 We can ship your puppy to any major airport in the US and Canada. 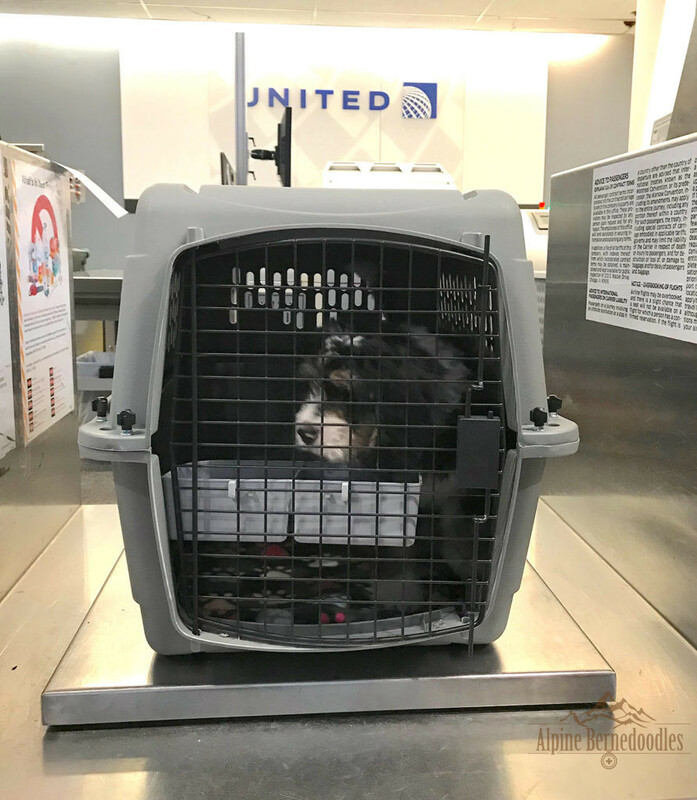 We fly our puppies exclusively with United Petsafe, the cost includes the flight, new airline approved carrier and health certificate. A leash and collar will be attached to the crate and a blanket will be included with mom and siblings scent to comfort your new puppy during his flight. All arrangements for airline delivery will be made for you, you will receive a confirmation and itinerary prior to your pups flight. 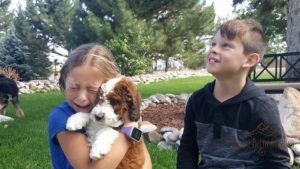 Hand delivery is a great option for those that prefer not to ship or not able to pick up their puppy here at the ranch. Our Fly Nanny or I will personally accompany your puppy on his flight to the airport of your choice. 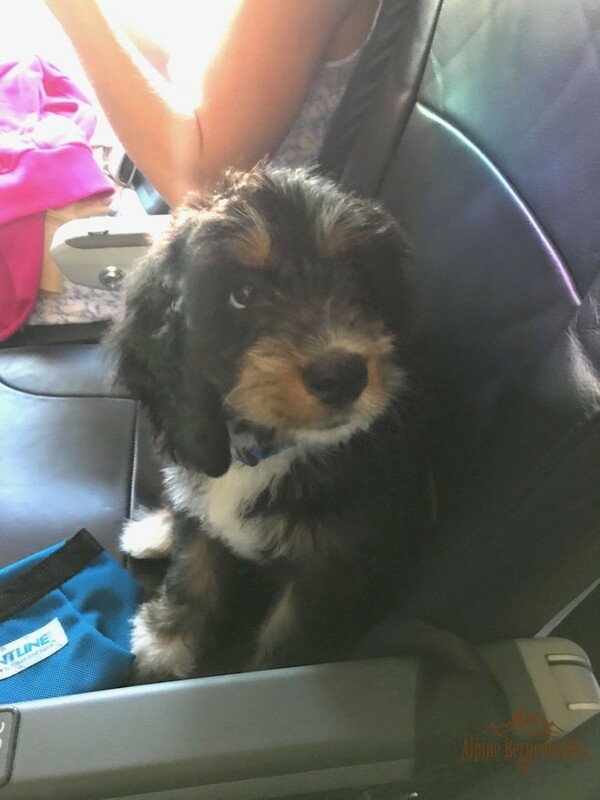 This option is available for the cost of the airline ticket and $350.00 travel fee as well as the airline pet fee of $125-$150. 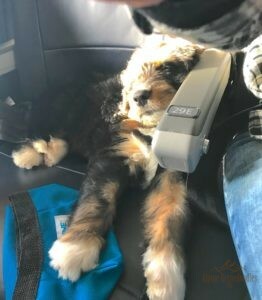 If you would like the convenience of fly in, fly out quickly through a major airport, we can arrange to meet you at the Salt Lake City, Ut or Denver, CO airport if you choose to personally carry your puppy home in the cabin. 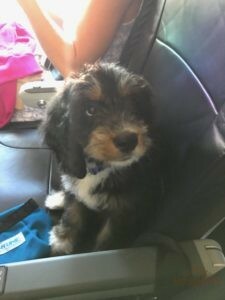 You will need to make arrangements with your airline to carry on your puppy. We have discontinued the option for cross-country delivery by an outside delivery service. We have decided that if you would like to personally drive out and pick up your puppy, this is a great time to bond and enjoy one on one time while you travel home with your new fur baby. We can offer to meet you part way up to 6 hours from Montrose if you would like to cut off some of your travel time. Pricing depends on destination. Thank you for your interest in our puppies.